Fascinatingly insightful and hopeful page-turning account of one woman's encounter with ultimate rejection. TV journalist Kimberley Kennedy went from having it all to complete devastation, rejection, and public humiliation when, like a Lifetime movie scenario, her fiance literally left her at the altar. Fortunately, her story did not end at the church. With candour and humour, Kimberley shares the most personal details of her life as she journeys from devastation to a deeper understanding of what happened and how she found not only healing but hope to someday find her Mr. Right. 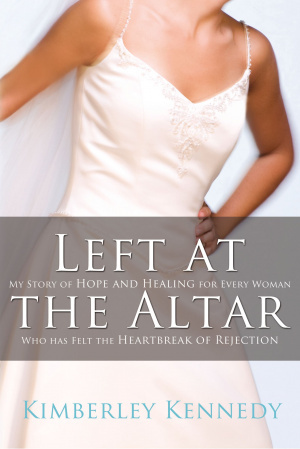 Left at the Altar by Kimberley Kennedy was published by Thomas Nelson in February 2009 and is our 18033rd best seller. The ISBN for Left at the Altar is 9780785228783. Be the first to review Left at the Altar! Got a question? No problem! Just click here to ask us about Left at the Altar.